And if you know what happened to the Grove Springs Hotel let us know! This photo appears to have been taken in the 1930s or 1940s somewhere on New York State Route 225. The precise location remains a mystery but if we find it – we can see if the speed limit there is still 15 MPH! 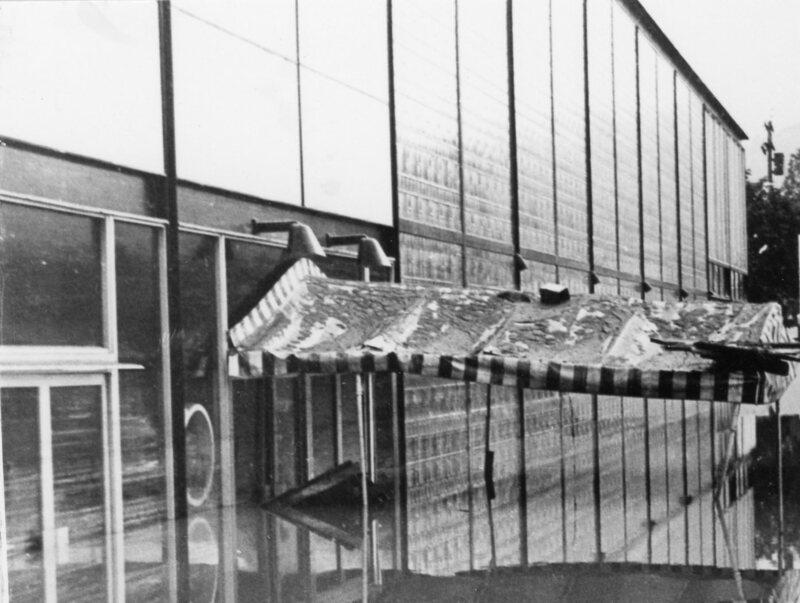 Here’s a photo of the Corning Museum of Glass during the Flood of 1972. 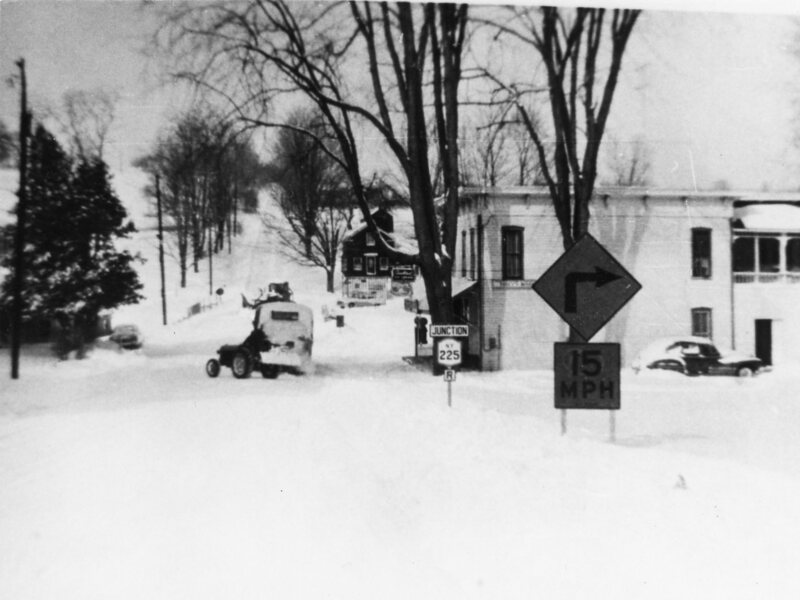 And even though most of us who live in the Corning area recognize where this photo was taken — it is still neat to take a look at flood era photo to see how far we’ve come in the last 45 years! 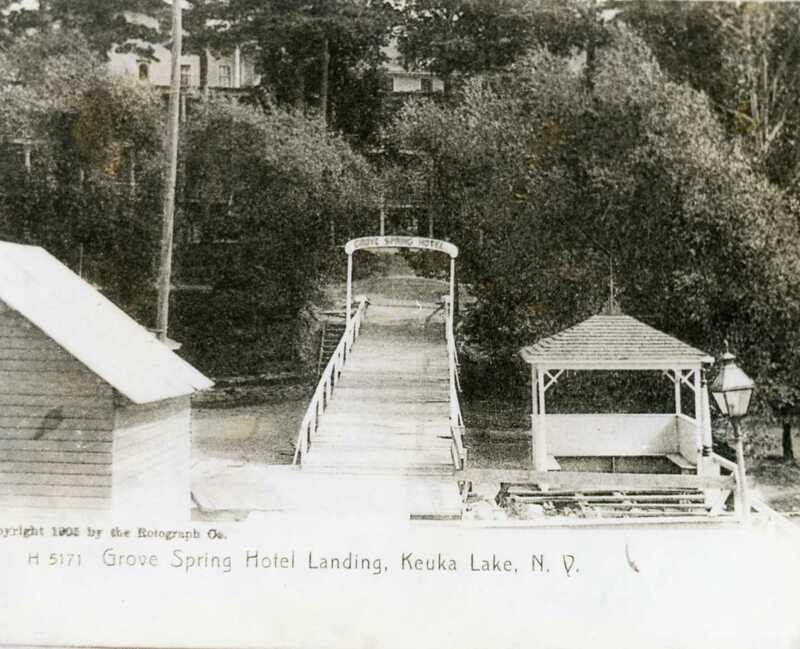 This became (am quite sure), the Keuka Hotel run by Mrs. Young and her son Derb. Not sure years when they owned it, know as we had a cottage on east side and went roller skating there at the rink. My cousin, Douglas Box and not sure of one or two others bought it probably in 70’s,,,,tore it down and built the cottages that are between where the hotel sat and the Switzerland Inn. Dave Wasson and his wife owned one at one time. Dave has passed away. in possibly 20’s and 30’s a few famous songwriters or performers stayed there. That’s about all I know. Good Luck!